"I am strung tighter than a rubber band holding together a jet engine!" Brandy moaned to her friend Starr one day. "What could you possibly be so stressed out about?" 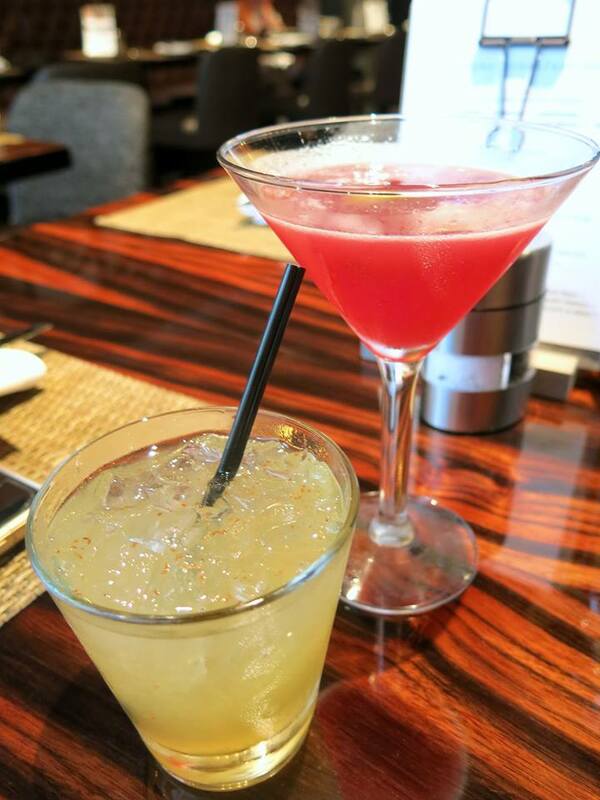 Starr laughed, "All you do is go out to brunch! That's what most other people do to relax when they're stressed out." "But brunch is precisely what's got me in such a tizzy! There's a lot about brunch that is stressful," Brandy pouted, defiantly, "What if I over order and can't taste everything at it's freshest? What if I over balance the sweet to savory ratio? What if I opt in for bottomless mimosas and don't drink enough of them to cover the cost? 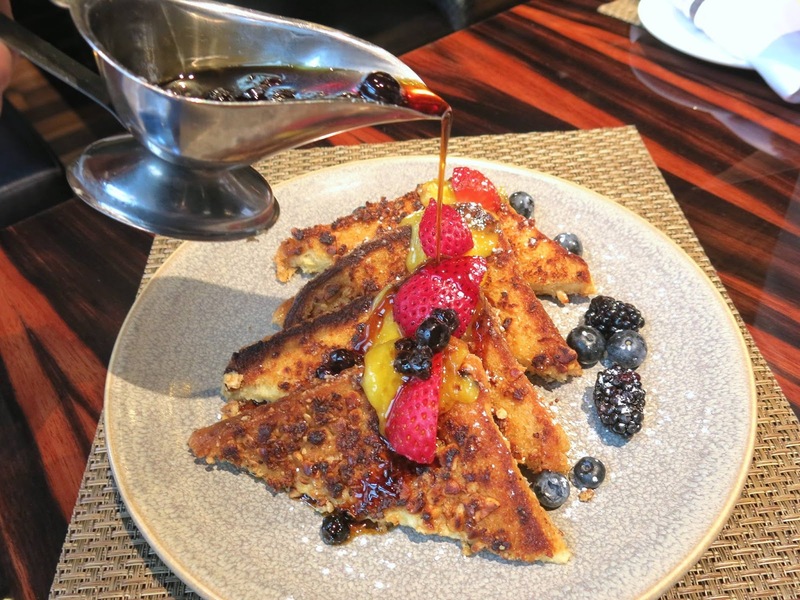 There are just so many things to think about when you're regarded as one of the city's ultimate brunch experts!" "Alright, alright, chill. I think that your problem is that you've gotten too bogged down by your own criteria. Tell you what, let's go to brunch, but this time, maybe put all your rules and procedures aside. Just go as a civilian for once instead of a brunch expert. Maybe then you'll remember what brunch is supposed to be about." 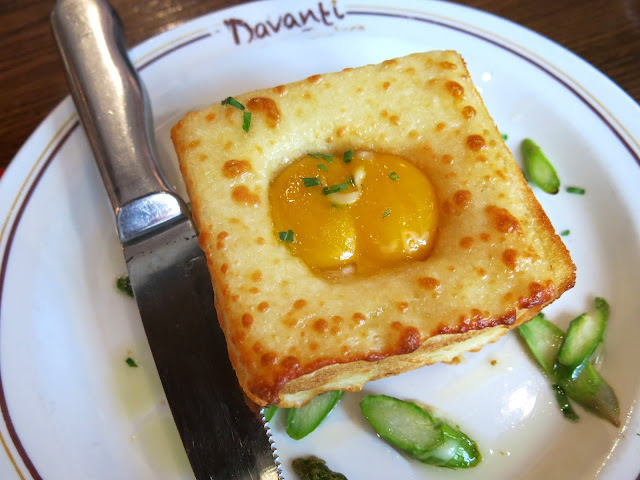 Agreeing to try and let go of some of her tightly held brunch traditions, Brandy accompanied Starr to Davanti Enoteca in River North. 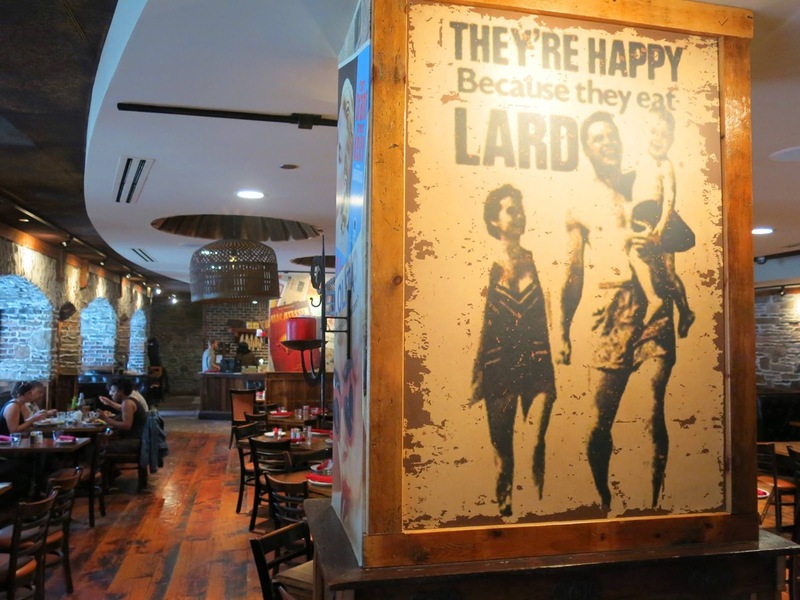 They were pretty smitten straight away by the retro posters that adorned the walls of Davanati Enoteca, giving it the feel of a neighborhood joint that had been there since the beginning of time. 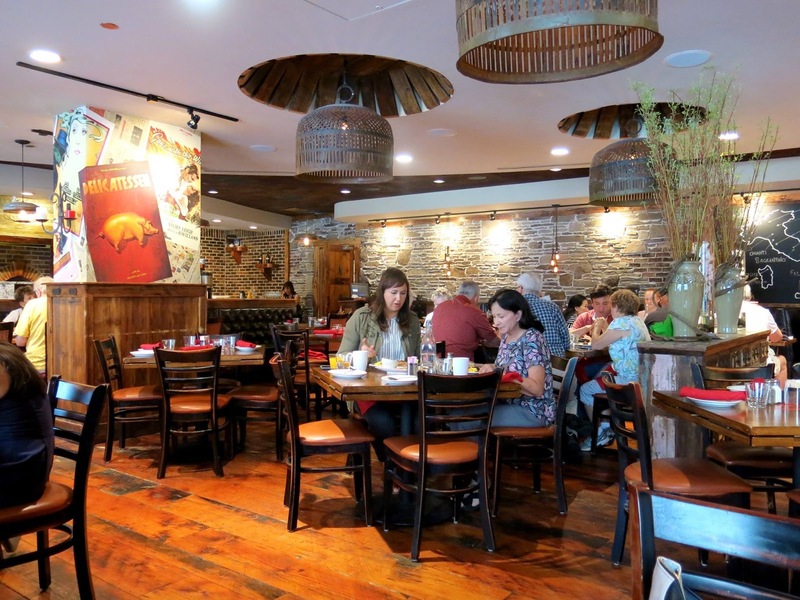 The brick walls and distressed woods and metals also created a warm, friendly atmosphere, as did the open and spacious seating arrangement. "First order of business, no mimosas or bloody mary's," said Starr, "You have to go outside of the norm." "But... but... just look at that make-your-own-bloody-mary bar!" Brandy whined. "You don't even like bloody mary's!" "Fine. 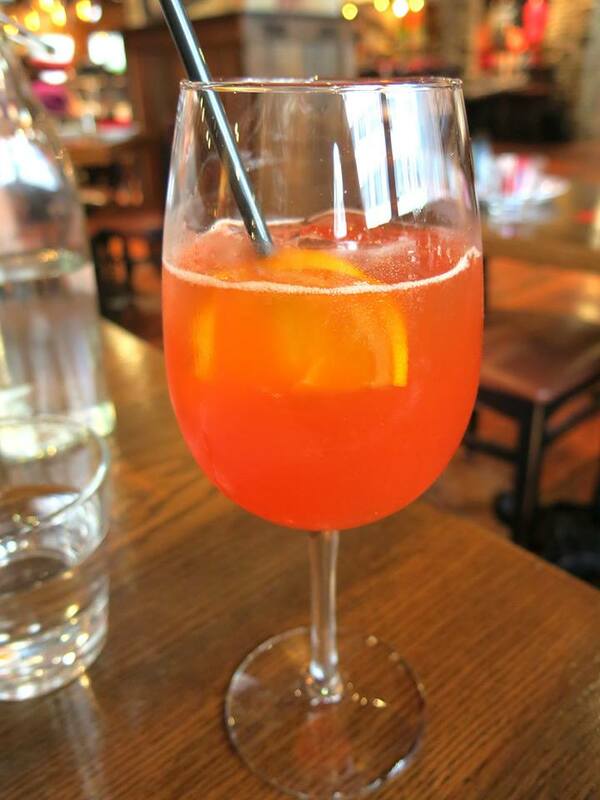 How about... ooo, there's something called the Davanti Spritz that sounds interesting!" And indeed, the spritz was quite lovely, with a bright citrus flavor from some some blood orange juice, pleasantly fizzy from a splash of Prosecco and soda, and sweet from an Aperol finish. Starr eyed Brandy as she happily sipped her large glass of spritz. "That sounds suspiciously like a mimosa to me," she said. "I don't know what you mean, dear," Brandy replied, airily. 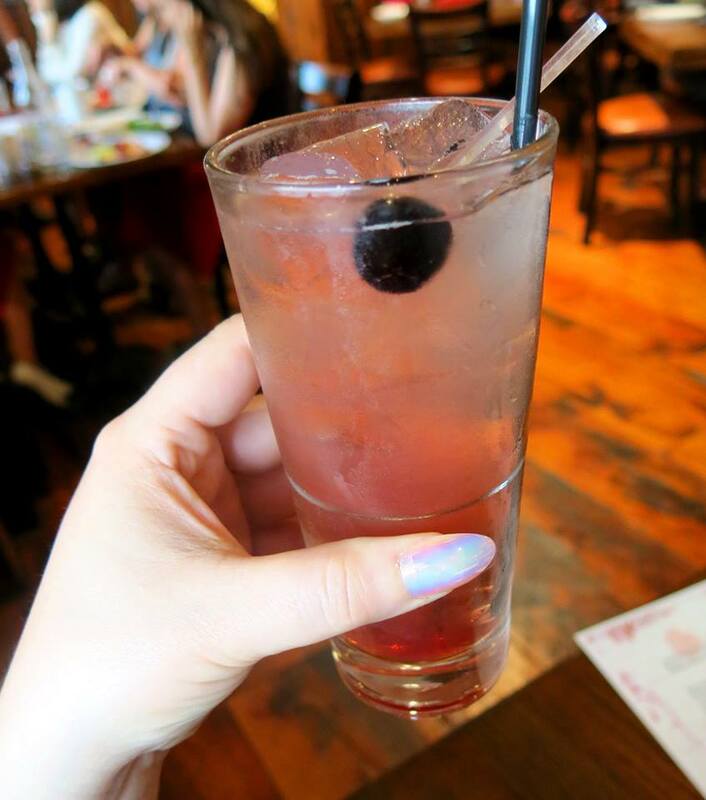 Starr chose the Cider House Mule, a Moscow Mule given a little twist by the use of a cherry apple cider instead of ginger beer. She found the cocktail very fruity and effervescent, and while she detected the cider flavor right away, she couldn't taste much of anything else. Round one of their brunch then began with a pair of items from the Insalata and Antipasti sections of the menu: some Crispy Brussels Sprouts and the Truffle Egg Toast. Though Brandy has had many a crispy brussels sprout for brunch before, she usually reserves that particular delicacy for autumn and winter. "We're breaking traditions today, remember?" Starr reminded her. 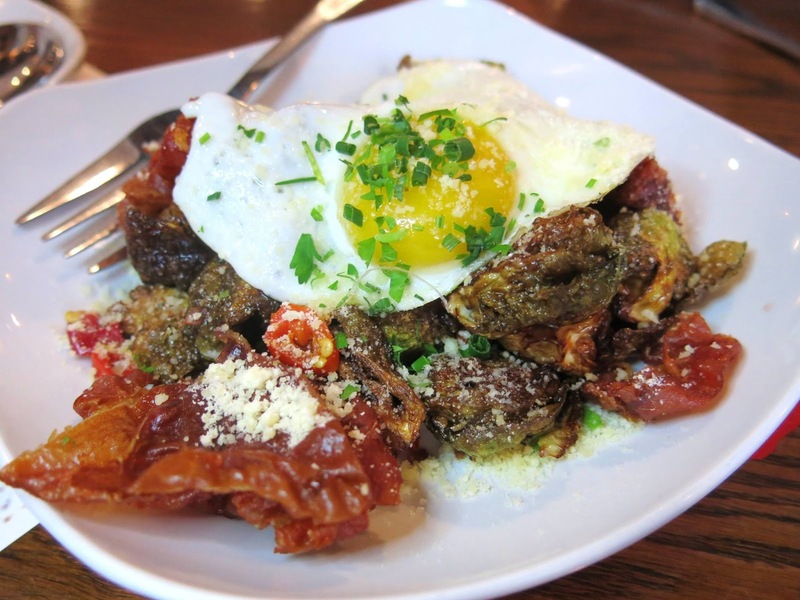 The brussels had an intense flavor that bordered on being a little too salty, as they had been mixed with crunchy bits of fried prosciutto, but the addition of a sunny side up egg really helped to tame them. The toast was a unique surprise, with it's aromatic waft of truffle oil spreading across the table the moment it was set down, to the compact and unique appearance that was somewhere between eggs in a basket and a savory French toast. "It certainly is a nice change of pace from avocado toast," said Starr. Brandy liked it as well, especially its melty fontina coating and the little bits of asparagus that dotted the plate, providing a burst of color and a respite from the otherwise rich dish. Next, they moved on to some pasta, specifically some Gnudi Pomodoro. 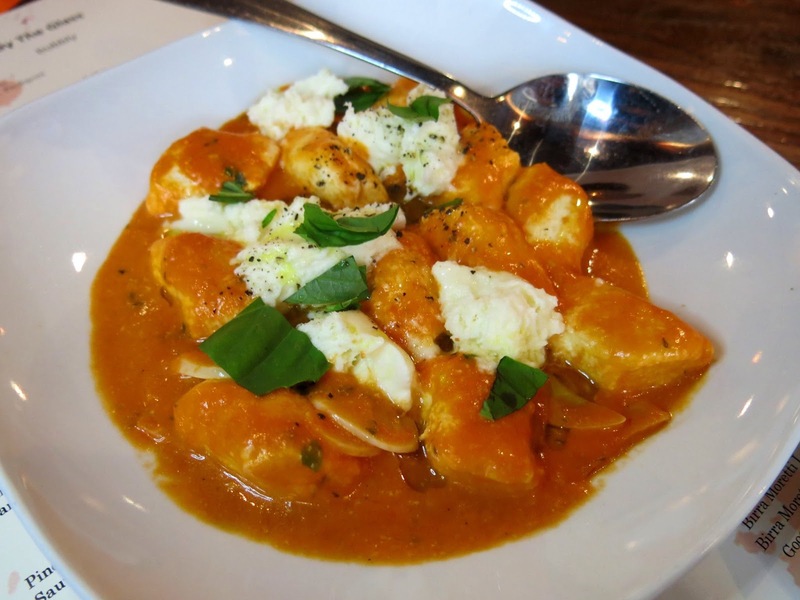 The gnudi were incredibly light and airy, and matched well with the dollops of fresh buffalo mozzarella, shreds of basil, and a slightly spicy sauce that really kept each bite from getting boring. Starr picked the Prosciutto and Egg Sandwich as her entree, which came with a side of roasted tomatoes. 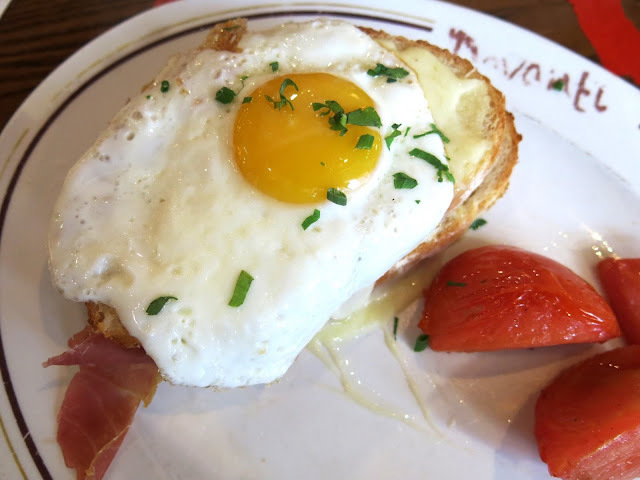 She likened the massive sandwich to an Italian version of a croque monsieur, as the prosciutto had been placed between the two pieces of Tuscan toast, but the egg had been put on top, accompanied by a creamy sauce, making it more of a fork and knife affair. She found the amount of bread to be a little overwhelming, especially since she had expected more a hand held sandwich, but prosciutto was absolutely perfect. 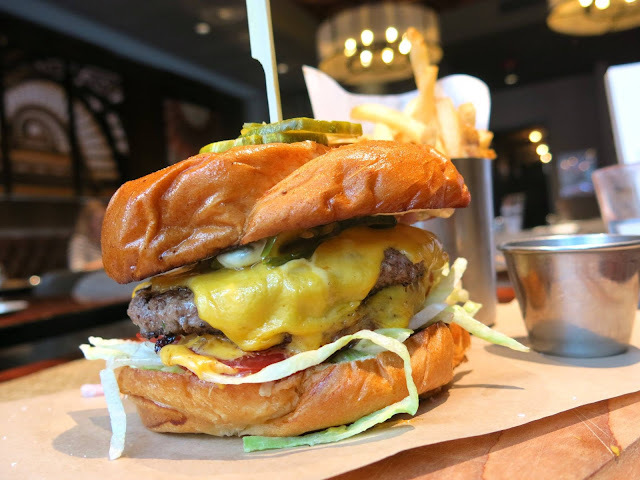 Brandy went for the Davanti Burger ("Don't you always order burgers for brunch?" Starr asked. "Perhaps, but this one doesn't have an egg on it. 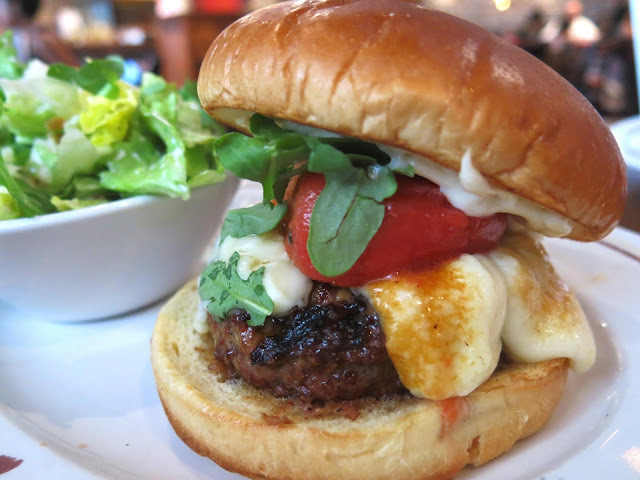 That puts it firmly in the brunch category," Brandy retorted), which came topped with bacon jam, roasted tomatoes, broiled cheese curds, roasted garlic aioli, and fresh arugula. 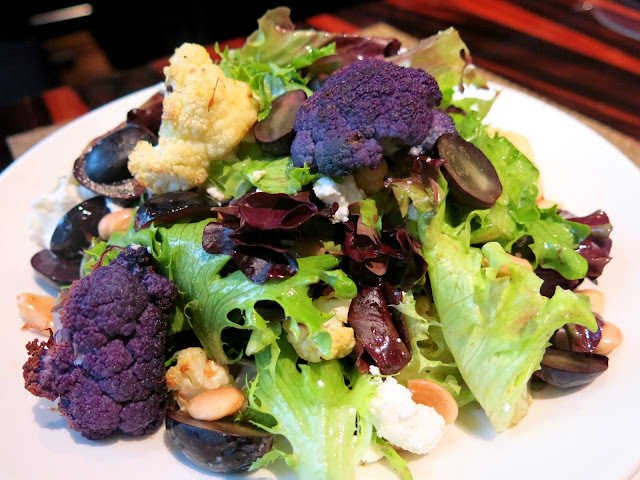 One thing that Brandy particularly liked was that instead of the expected side of fries, she was able to get a mini version of the signature escarole salad as her side. 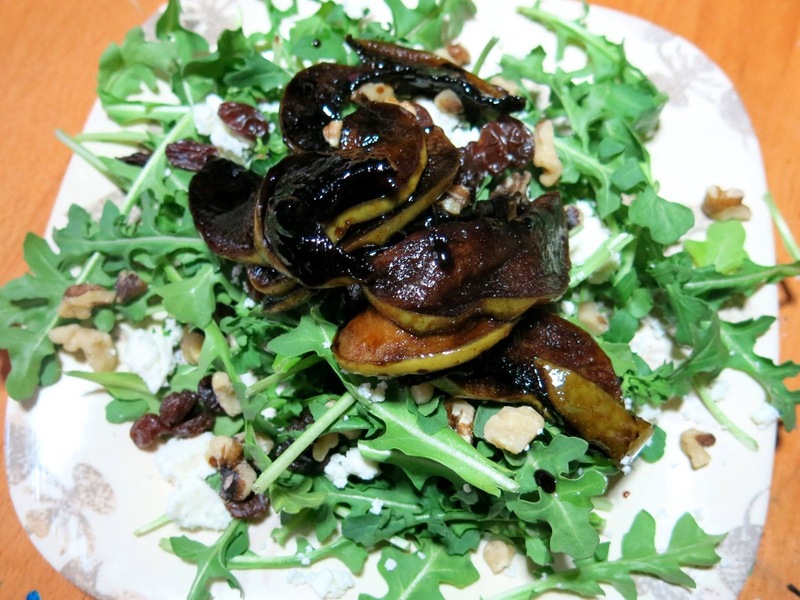 Normally, a side salad wouldn't be worth noting in her book, but this one came dressed with green apples, hazelnuts, a pecorino dotted with black pepper, and celery, and therefore was pleasantly unexpected. As for the burger, the thing was cooked to perfection, with a very juicy patty that had a good salt crust to it, some melty, chewy cheese, and a decent amount of sweetness from the tomato. The true accomplishment of the burger was that the bacon jam didn't overwhelm everything else, which it so often is wont to do. 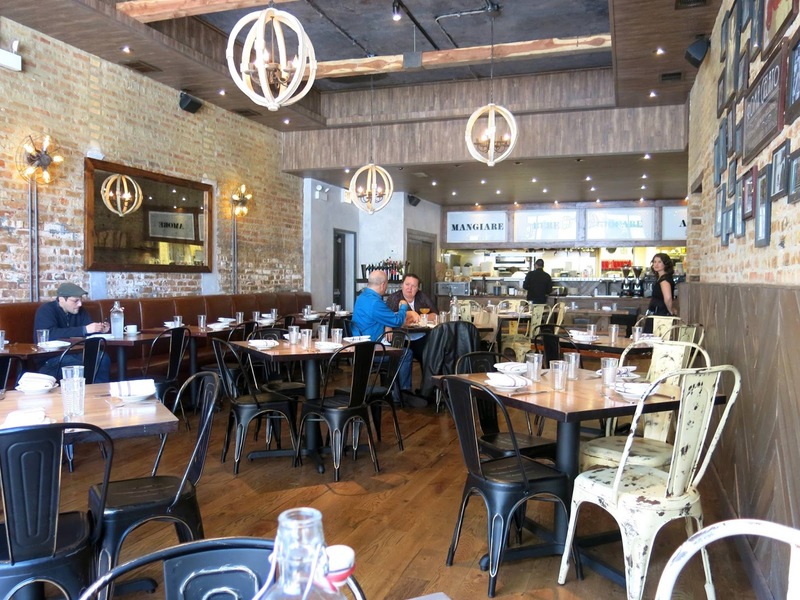 The brunch menu at Davanti Enoteca was certainly a nice change of pace for Brandy. 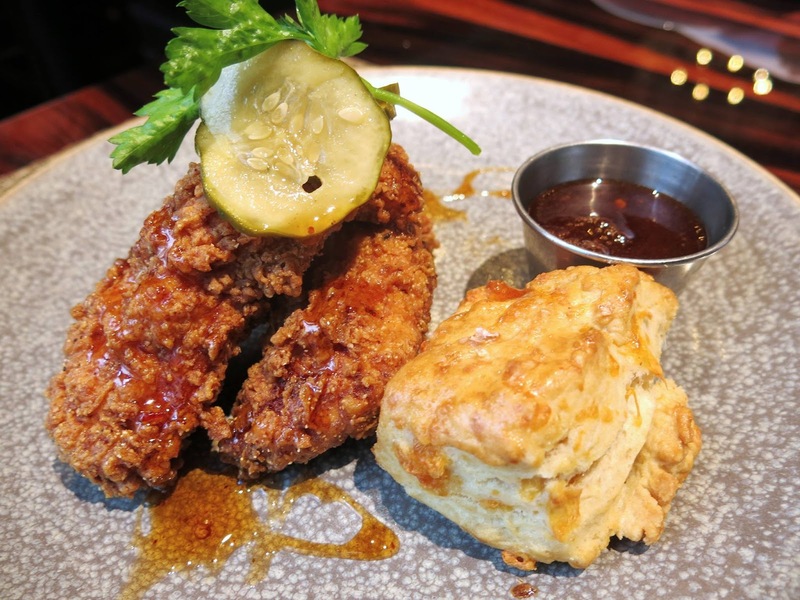 Very few of the dishes could be pegged as being simplistic brunch staples, as everything had a bit of a creative twist to it, and the preparation of everything was beyond expectations. Though the service moved a little slowly, the servers were all very friendly and had excellent suggestions when it came to the menu. "I'm very proud of you, going out of your comfort zone a little," Starr said to Brandy as they finished off the last of their cocktails. "I'm rather impressed with myself, if I'm honest," said Brandy, "Do you realize we have had nothing sweet at all during this brunch? I can't even believe that I'm not missing the other half of my sacred brunch ratio at all!" Then, after mulling this fact over for a minute, Brandy and Starr decided to head to the Glazed and Infused next door to pick up a donut or two. 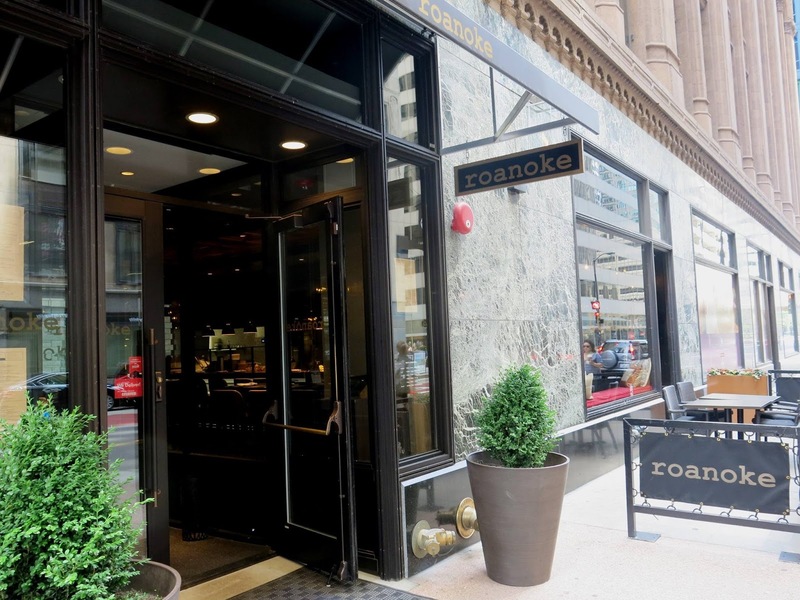 The writers of this blog were invited to dine free of charge at the restaurant in exchange for an honest review. It was a normal day until Brandy met the lion tamer. She had been wandering around the Randolph Street Market, browsing for antique wine racks and vintage lace doilies when she came across a rather imposing figure. They wore a tailored suit and an old fashioned coat that had tails draping down to their ankles. Their white gloved hands were clasped tightly behind their back. On their head rested a red satin top hat. But none of these visuals were what caught Brandy's eye. Indeed, what she had first noticed was the short whip in the figure's hand. "Using that for price negotiations, eh?" she commented to the person. They raised a dark eyebrow at her. "I, mam, am a professional lion tamer," they said, "And this is simply a tool of my trade." "Oh," said Brandy, "You're on pest control duty then?" "No mam. I simply do not care to leave my home without my instrument. It is an extension of myself. Besides, one never knows when it might come in handy." This intriguing figure, it turned out, went by the name of Bucatini Bianco. Brandy and Bucatini wandered up and down the festival for an hour or so, chatting about their individual adventurous lives until Brandy had an idea. "Say," she said, "Would you like to grab a bit of brunch with me? 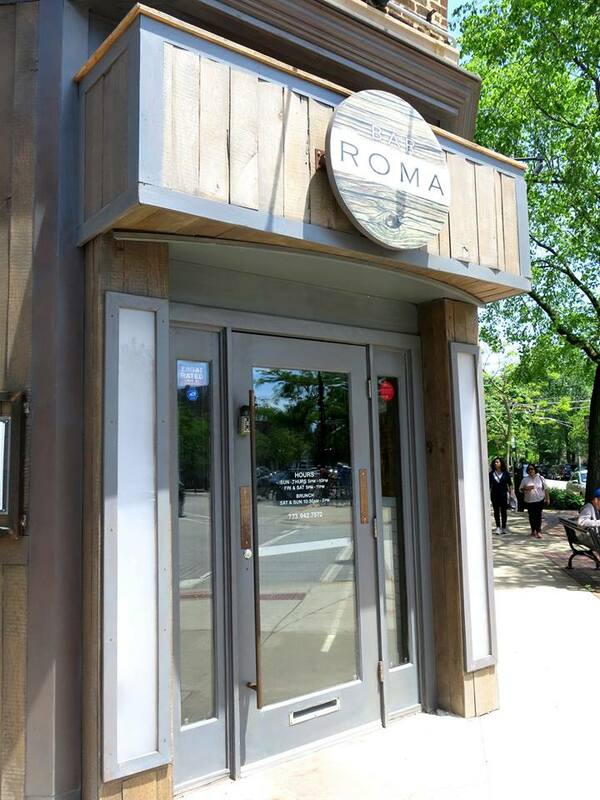 There's a lovely Italian restaurant up in Andersonville I've been wanting to sample and I think you might enjoy it." 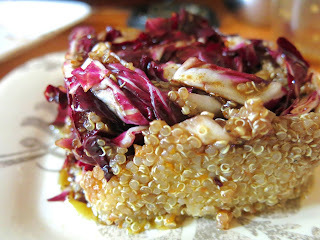 Bucatini agreed with a short nod and the two headed off with their arms full of various treasures from the market. Bar Roma in Andersonville was their destination, and they arrived to find a warm and rustic feeling U shaped space, laden with brick, aged woods, and antiqued metals. Even though the design utilized dark colors, the windows at the front of both sides of the dining room brought plenty of light into the space, making it feel more open and breezy. Brandy began her meal with a Pomegranate Basil Smash, a delightfully sweet, slightly tart, and herbaceous drink that tasted like a summer day spent sitting in the middle of a garden. Bucatini went with a simple belini, which was light, crisp, and fresh tasting. 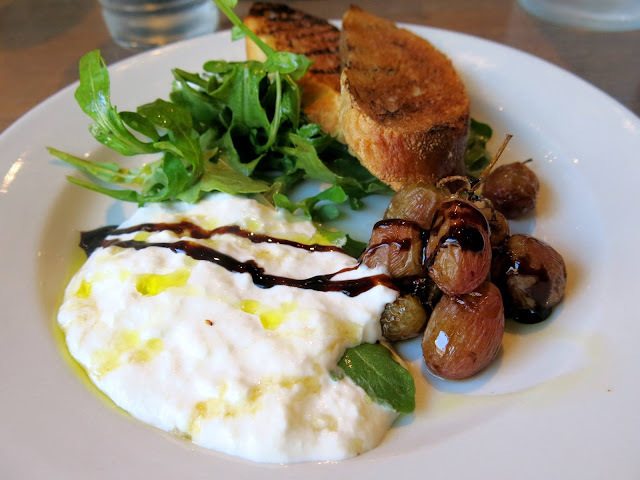 To snack on while they plotted out the rest of their meal, Brandy ordered them the Colazione di Straciatella, which consisted of grilled green grapes, some rustic toasted crostini, and an impossibly creamy Straciatella cheese (which sort of resembled the inside of burrata), drizzled with honey and some balsamic vinegar. The combination of such simple, but high quality ingredients was utterly delightful, with bursts of sweet, salty, and milky flavors coming in every bite. "There is no taming my taste buds now!" Bucatini chuckled, cracking their whip off the to side of the table. 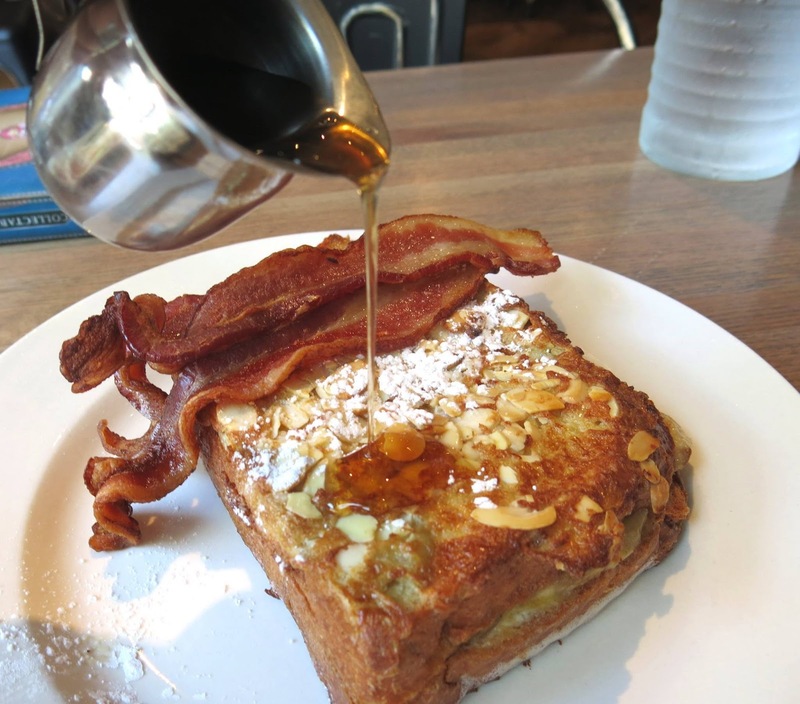 Next, they shared a plate of Maritozzi con la Panna, an Italian style French toast, coated with almonds and stuffed with a banana, mascarpone cream and served with a side of bacon. Brandy thought the flavor of the toast was spot on, with a decent custard like interior to it and a wonderful crunch from the almond coating. The banana helped quite a bit to break through the sweetness and egginess, while the bacon served as a salty palate cleanser between sugary bites. For their entree, Bucatini selected the Torticcio alla Trastevere, which Brandy took to be an Italian twist on a chilaquiles. At the base of the dish was crispy tortillas smothered in a tomato-chipotle sauce and then topped with smoky pork belly, avocado, and ricotta salata. Bucatini was immediately impressed that the tortillas remained crispy under the weight of all the toppings, which gave a nice textural contrast to some of the softer elements of the dish. The pork belly was a real standout, with it's succulent and smokey nature, while the sauce provided a bright and rich tomatoiness that actually lightened up some of the heavier flavors. "If I was eating this at home, be sure that the lions would have nothing to lick from the plate!" guffawed Bucatini, making Brandy wonder if they were implying that they actually kept lions as pets. 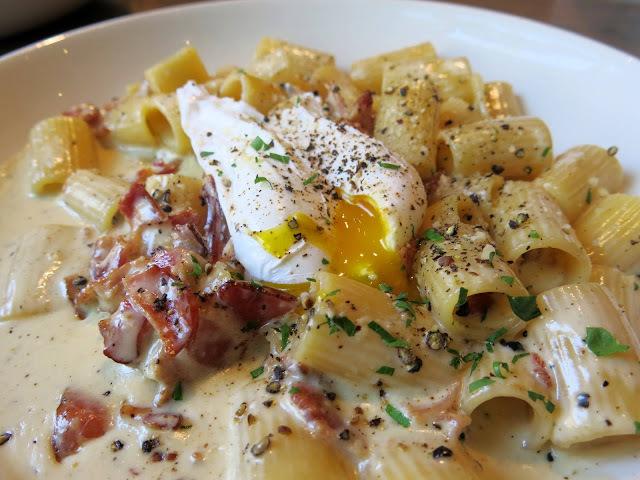 Brandy, never able to resist a plate full of carbs for breakfast, ordered the Rigatoni alla Carbonara. The rough cracked black pepper that was sprinkled across the plate meant that every bite had a thrilling sense of danger to it that Brandy rather enjoyed. The pasta had been cooked well, but Brandy found herself thinking that she preferred the more traditional spaghetti to the rigatoni, if only because the little tubes didn't hold onto the sauce or the cheese as well as she would have liked. 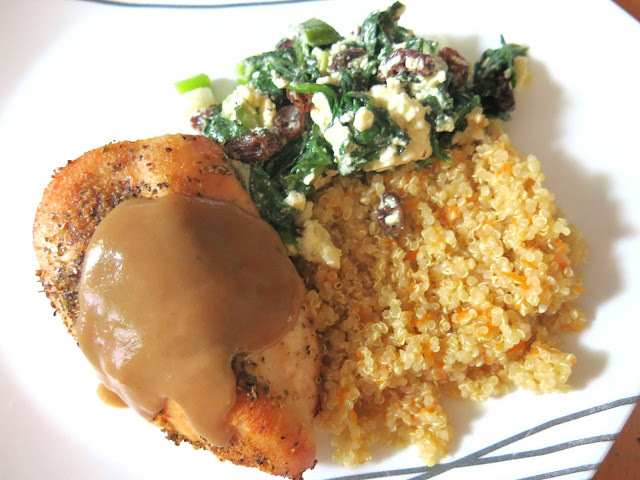 The bacon in the dish lent a good amount of flavor, but didn't overwhelm everything else. Finally, they both ended their meal with a little dessert. 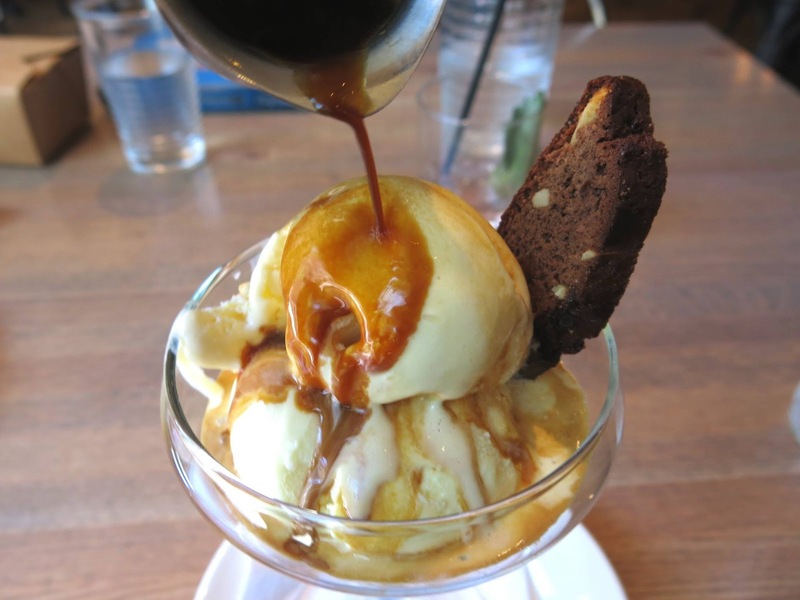 Brandy chose the Affogato, which was simple, perfect, and satisfying. "I only discovered the joys of an affogato a few years ago," said Brandy, "but they have become one of my favorite things. There is nothing quite as pleasing as pouring a dark, rich espresso over a bowl of ice cream." 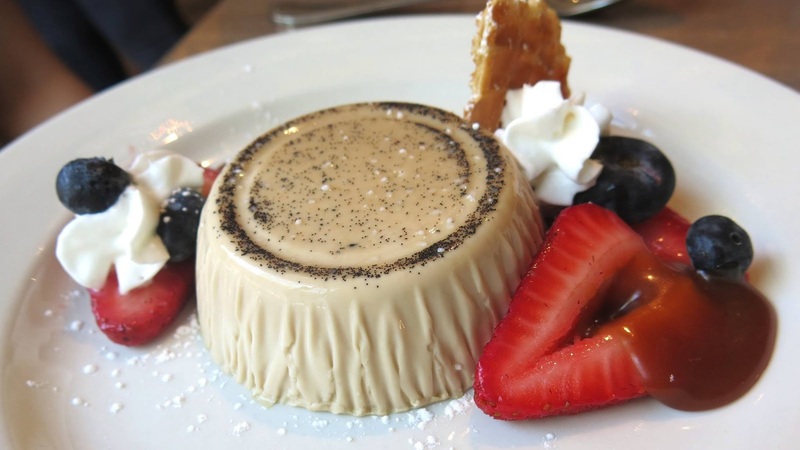 Bucatini had picked the Panna Cotta, which came with a salted caramel sauce and fresh berries. They giggled with delight at the jiggly little sweet, which was dotted with a galaxy of vanilla beans. The panna cotta it self was extremely light, as if it had been made with whipped cream, and had a very pronounced coffee flavor. Bucatini especially liked that the caramel sauce contained small bits of sea salt for a little bit of crunch and an extra burst of flavor. Several hours after first meeting Bucatini, Brandy had learned more about lion taming than she ever thought she would need to know, and she felt her life was somehow enriched because of it. Bucatini, in turn, had a much more comprehensive knowledge of brunch by the end of their meal. 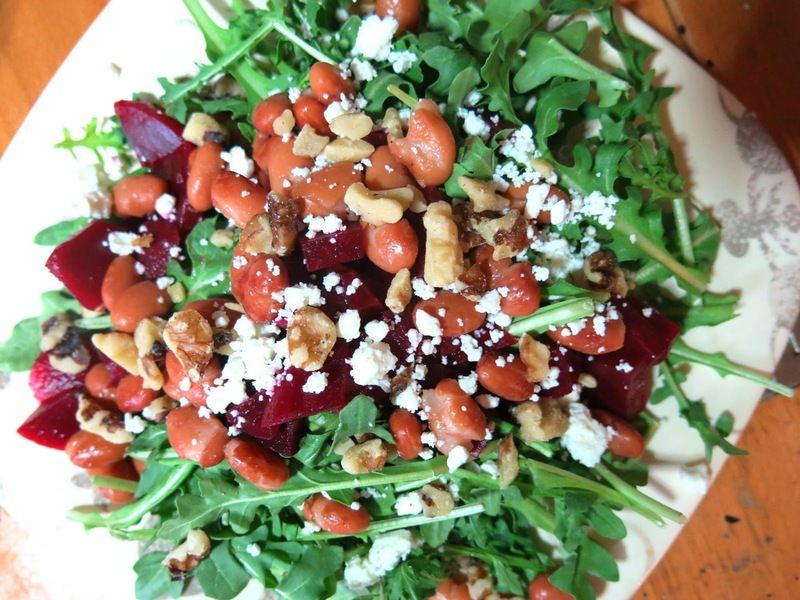 "I never thought that the combination of sweet and savory flavors could be so important," said Bucatini in wonder. "And I never knew lions were such quirky creatures," Brandy replied, "How on earth to do you fit five of them into your home?" "Oh, they are rare miniature lions. Only about 10 pounds each." It was only then that Brandy began to suspect in earnest that Bucatini may have been, in actuality, a skilled and formidable house cat tamer. 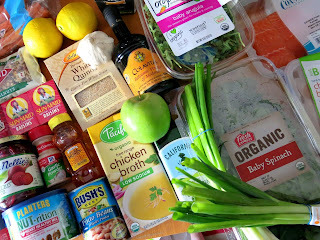 Postcards from Bunny: Pangea Nutrition and GIVEAWAY! "Where on earth has Bunny been?" we hear you cry, and it's an understandable query, seeing as how she has been mysteriously absent almost this entire year. The truth is Bunny went deep underground late last year, to a place where social media dared not tread. And we mean "deep underground" quite literally, as Bunny has spent the last several months living in the deepest caverns of Spain, Italy, Greece, and all along the Mediterranean, helping her beloved Benedict research the fossils of all the ancient animals that once called them home. "I did start to miss sunlight after a little while," Bunny giggles, "But I don't think I've ever slept better! Also, being so far down that none of my electronic devices could pick up any signal certainly was a blessing and a curse. On the one side, I didn't have to read any distressing news or angry online rants, but I was also cut off from all my favorite food sites! 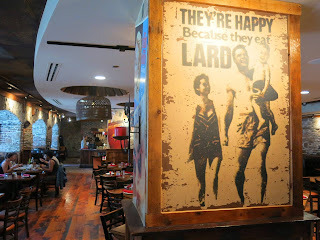 The first thing I did every time we surfaced was to binge on all the delicious food I could find!" After a while, Bunny actually began to notice something: Even though she was gorging on piles of food as they moved across the continent, she was actually feeling better than she had in ages. She felt spry and alert and light on her feet. Why was this, she wondered, especially when upon returning to the States, she immediately began to feel sluggish and weighed down. Was it that the clean, well balanced eating habits of the people on that side of the world had had such a profound effect on her disposition? As it turns out, many nutritionists consider the eating habits of Mediterranean people to be some of the healthiest in the world. Dr. Christos Mantzoros, a global obesity, diabetes and metabolism pioneer and Professor at Harvard Medical School, is one of those people, and that is why he recently co-founded a one of a kind meal kit delivery service called Pangea Nutrition, which takes everything about the Mediterranean way of treating food and translates it into an easy to follow guide to healthy eating. Bunny decided to give this service a try to see if her energy would indeed return to what it had been. The thing she appreciated right away was that she didn't need to worry about any of the meal planning. All of the ingredients for the recipes where ordered by Pangea Nutrition through Amazon Fresh and came straight to Bunny's doorstep. 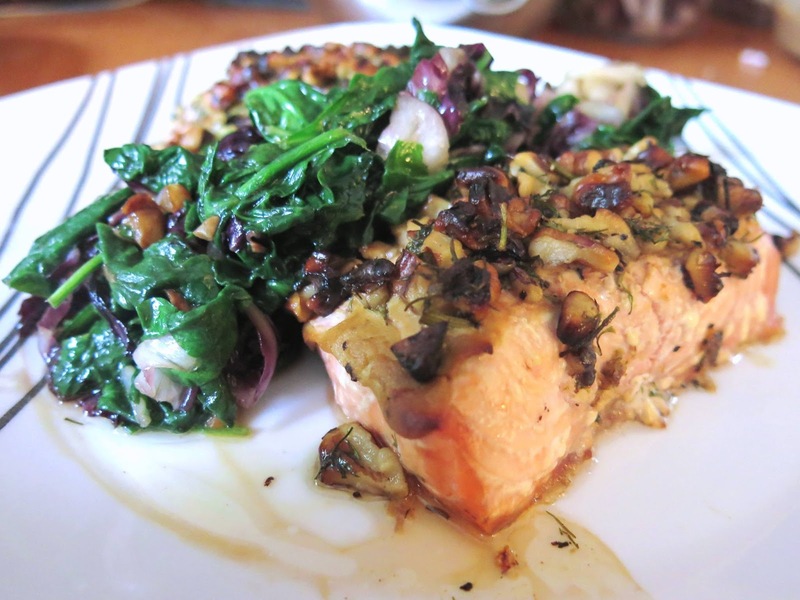 One week's worth of the service included recipes for three dinners and three lunches, all of which had over lapping ingredients to simplify preparation and minimize waste. All that was left was for her to prepare the meals. 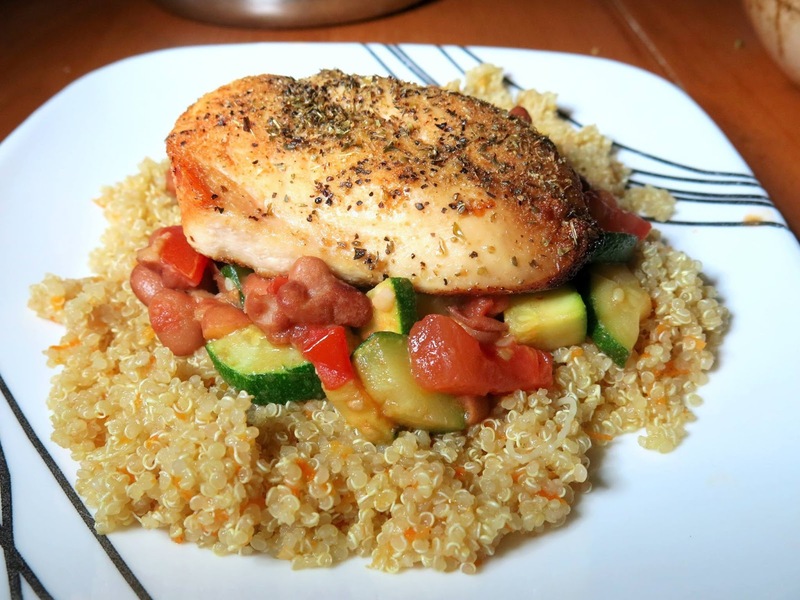 The recipes Bunny received consisted of two chicken focused dinners and one salmon focused dinner, with a variety of salads for lunches and some nuts for snacking. All of the dishes were quite easy to create from the recipe cards, though they did take some time to prep. Bunny liked that there was a little bit of room in the recipes and with the ingredients she was sent to add a little more flavor here or there in order to customize the dishes to her personal taste. And because each recipe was built to feed two people, Bunny and Benedict were both able to reap the rewards of the plan. Over all, Bunny loved the simplicity of Pangea Nutrition. Her one complaint was that she would have liked a little more direction when it came to breakfast. Since the plan only included instructions for snacks, lunches, and dinners, breakfast was sort of left up in the air, and as Bunny had seen first hand, there were plenty of fresh and healthy ways of enjoying a Mediterranean inspired early morning meal. Never the less, Bunny was so delighted with Pangea Nutrition that she wanted to give the chance to try it out to one of her readers! GIVEAWAY INSTRUCTIONS: Give the Pangea Nutrition Facebook page a like, then visit the Pangea Nutrition Website to make sure Amazon Fresh delivers to your area. Finally, leave us a comment below telling us what you hope to get out of trying Pangea Nutrition (make sure you also leave something like your email address or a social media handle so we can get in touch with you if you win). We will pick a winner around noon CST on Friday June 16th. Good luck! The writers of this blog were sent products free of charge in exchange for an honest review. 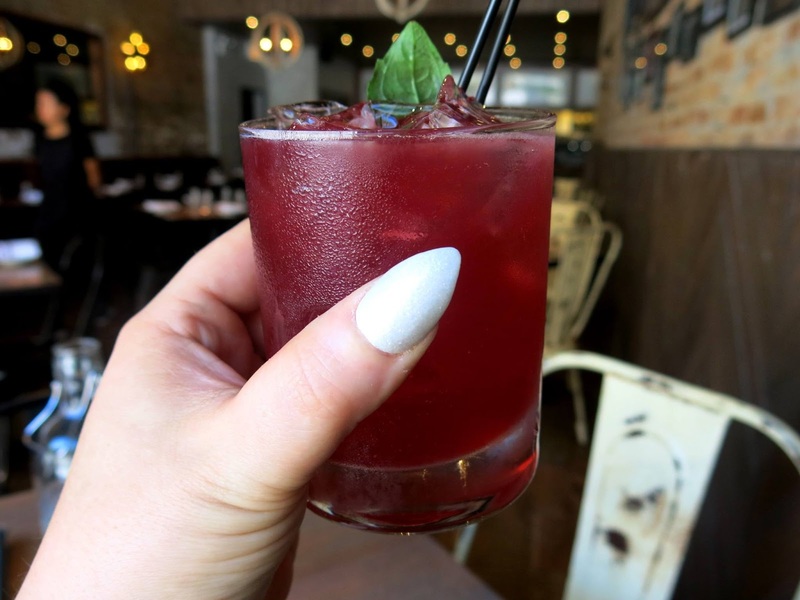 At the end of 2014, Brandy was flooded with nostalgia when she visited the newly opened Revival Social Club, which was located in the same space that was once occupied by M Henrietta, otherwise known as Bunny and Brandy's very first brunch review destination. "There was just something so heartwarming about seeing that space cared for and loved by a whole new crowd," Brandy wistfully recalled. 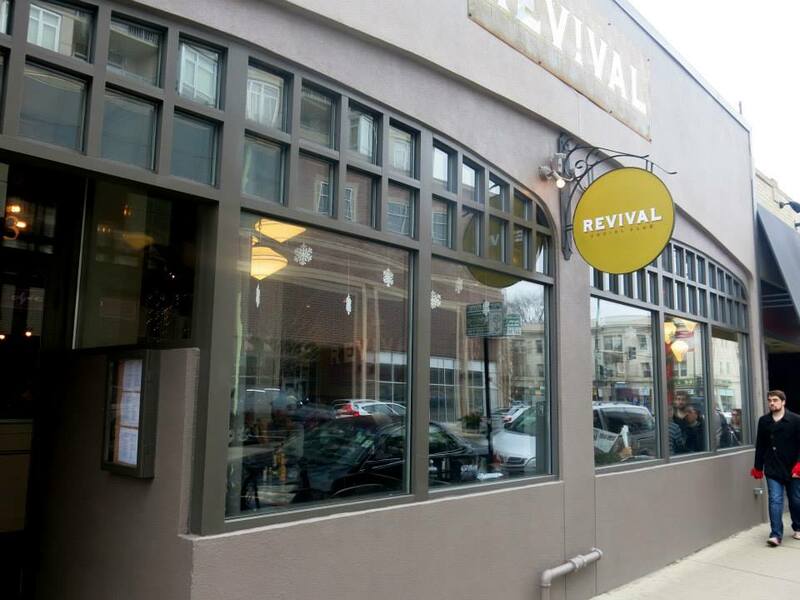 But having learned recently that Revival Social Club had acquired new chefs, a revamped menu, and a whole new bar program, she knew she had to go back to see how the old place was doing. 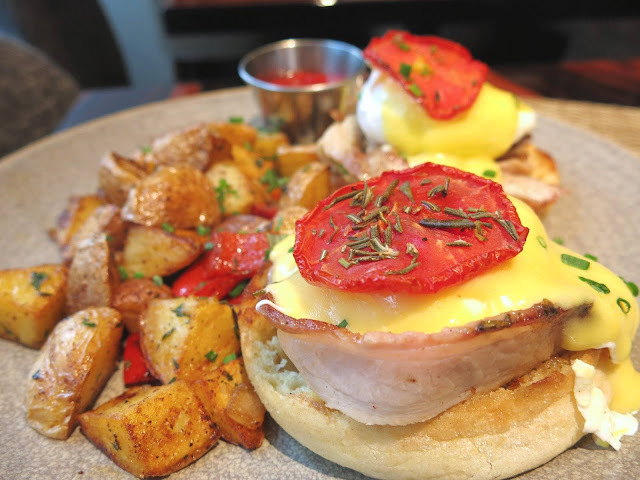 "I feel a duty to that space, to make sure it is always home to a worthy brunch. I would take it as a personal insult if I ever heard ill being spoken of the brunch in that little spot next to the Granville Redline stop!" Sunday morning brunch was still buzzing, which Brandy was happy to see. 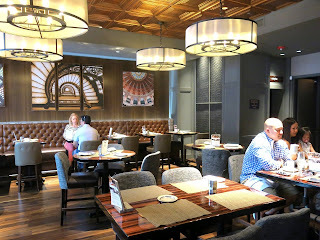 Glancing at the menus, she noticed that the once experimental bar menu had become more approachable, while the food menu, which used to concentrate on Southern American themed cuisine, had shifted more to home style Mexican American. 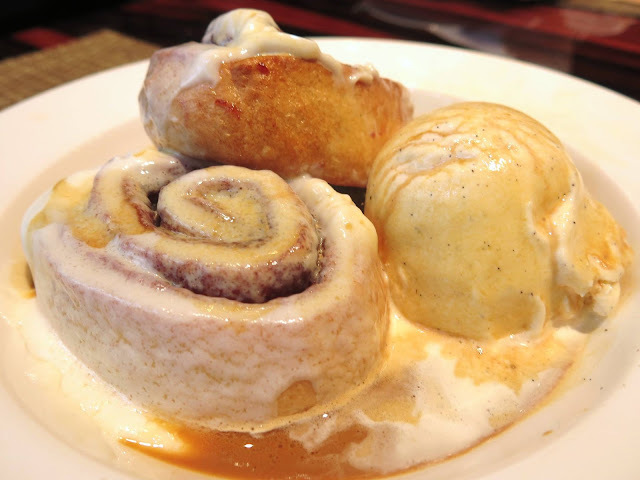 Still, there was some holdovers from the previous incarnation, like the unforgettable skillet monkey bread. Brandy started off her meal an iced Mexican Coffee, which had been spiked with Ancho Reyes liqueur and topped with a tequila whipped cream. "Oh, this is dangerous!" she said after taking a sip. 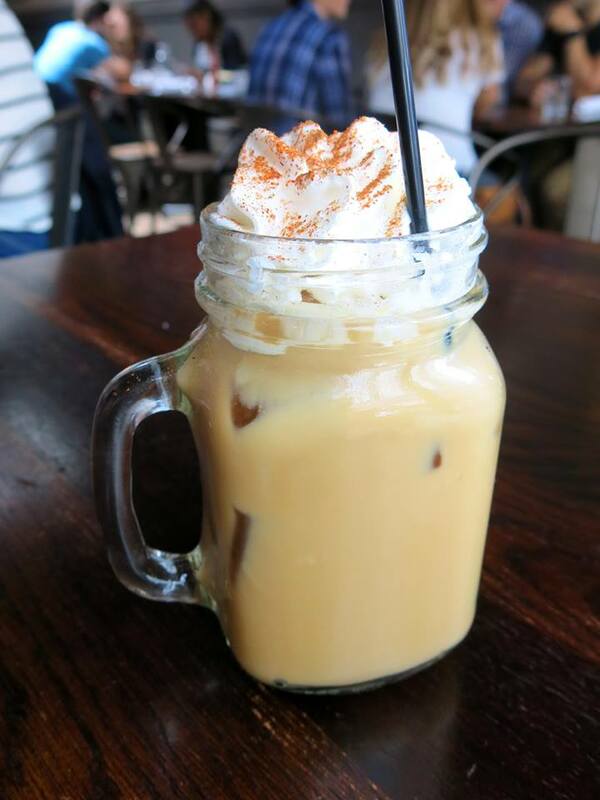 The iced coffee was so smooth and the liqueur's flavor so subtle that she could have easily sipped her way through three glasses or more without even thinking about it. The whipped cream certainly did pack a punch, though, reminding Brandy that she wasn't merely drinking a lovely coffee, but enjoying a proper cocktail. Though she missed seeing the Dark Matter coffee infusions that the bar had previously been creating, she thought the Mexican Coffee almost made up for their absence. 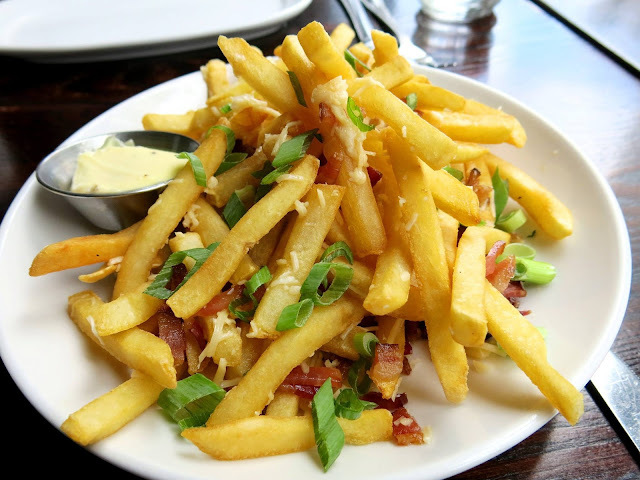 To start off brunch, Brandy ordered the Truffle Fries, which came with a sprinkle of Parmesan, crisped bacon, chives, and a lemon aioli. The fries were a little dry on their own, but taking them for a dip in the creamy aioli certainly did help. The bold flavors of the bacon and the chives drowned out the truffle, sadly, but they did make the fries mighty tasty. 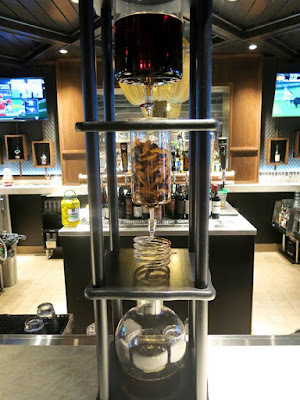 "If it was me, I'd forget the truffle all together and just call these Bacon Fries," Brandy thought aloud. 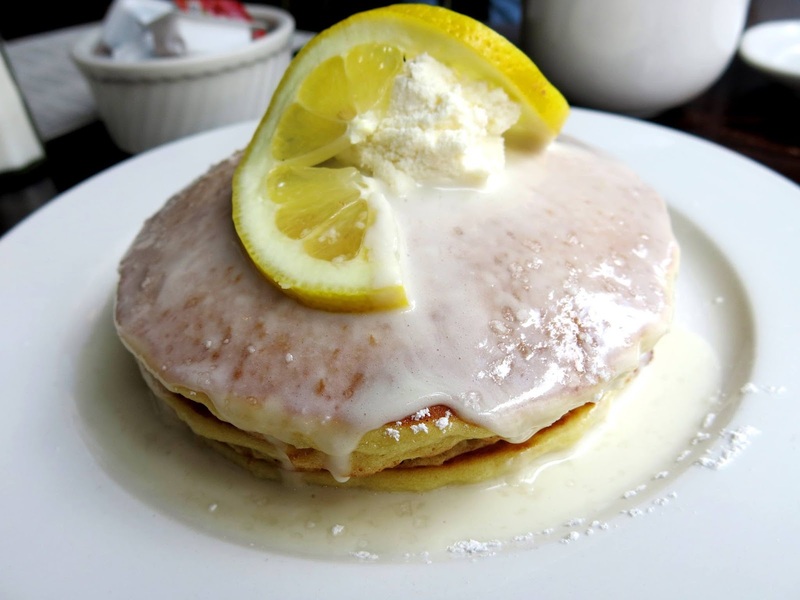 Next, she shifted to the sweeter side with some Lemon Ricotta Pancakes. This was a flavor profile she'd been seeing quite a lot as of late, and though lemon isn't typically Brandy's favorite thing in the world, she did like these particular pancakes. A healthy slathering of coconut cream helped to bring out the creaminess of the ricotta while balancing the acidity of the lemon nicely. The pancakes themselves had a great fluffy texture that didn't leave Brandy feeling weighed down by the end of the plate. 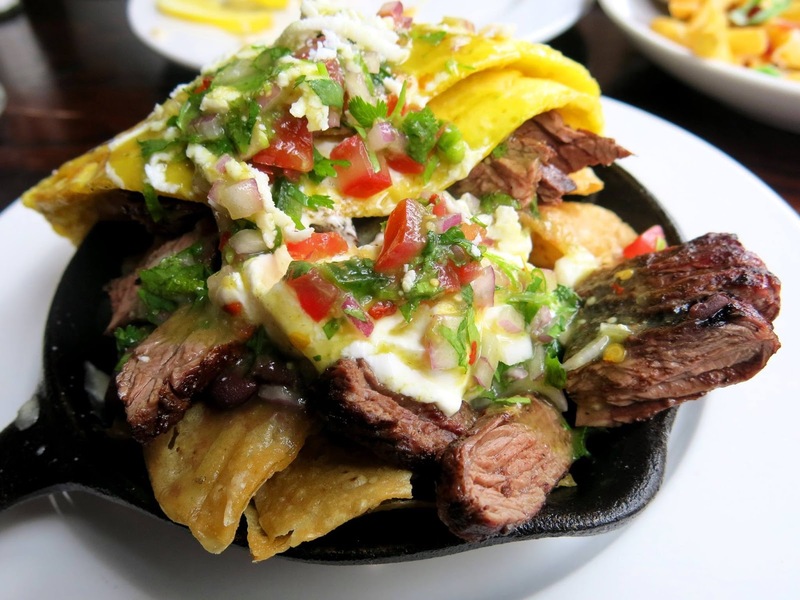 Lastly, Brandy ordered the Skillet Nachos, which seemed to be an interesting new version of of chilaquiles. Adding some medium rare steak to the concoction that included pico de gallo, black beans, sour cream, guacamole, and scrambled eggs really gave the dish a feeling of well-roundedness. Every bite was a little different, which Brandy loved, with plenty of crunch coming from the freshly fried tortilla chips. She used these interchangeably with her fork to scoop up all of the lovely toppings. 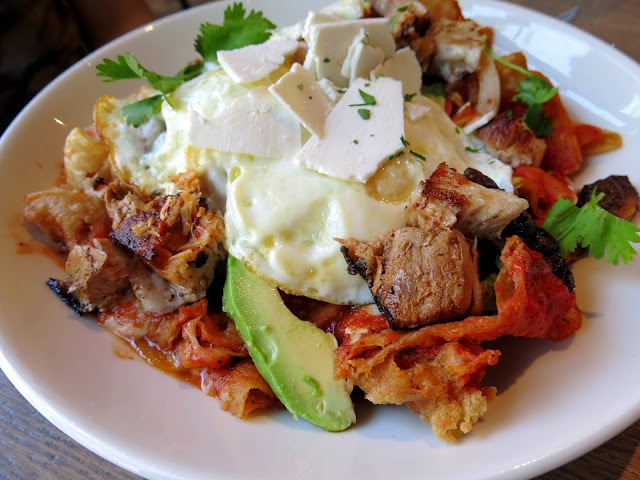 "What a delightful change of pace," Brandy declared, "I've become a bit bored by seeing chilaquiles on every menu in town, but this has something different about it that makes it into a whole new experience." Satisfied to see a location so close to her heart finding their footing in a new realm, Brandy wandered out into the street. She then immediately wandered back into Revival Social Club, took a seat at the bar, and ordered more Mexican Coffee's until she had to be asked to leave so the staff could go home.